March Break certainly gets its fair share of hype. It’s a time of year when we are supposed to relax, unwind, and spend quality time with our kids: you know, the stuff of which perfect childhood memories are made…. Of course, the reality can fall far short of that rather utopian parenting ideal. Routines get turned on their head because the kids are out of school. And, at the same time, expenses can soar out of control, whether you head out of town or stay at home. I know what it's like to be a parent who is dreading rather than anticipating this annual shake-up to the family routine because I've lived it many times. It could be that you’re the parent of a child who doesn’t cope well with changes to his/her routine, which means that you’ll be dealing with a stressed out rather than a happy kid if you try to sign that kid up for March Break camp or any other sort of organized activity. It could be that you're a parent who is already feeling maxed out by the day-to-day demands of parenting. Or maybe you’re a parent on an already tight budget who is feeling stressed by the added expense of March Break camps, activities, and/or childcare -- which means that March Break spells “stress” and “expense” for you. Or it could be that you’re a parent who runs a home-based business and you’re trying to figure out how to juggle the needs of your kids and your clients — both of which are pretty much guaranteed to need you at exactly the same time (think “Murphy’s Law of March Break Parenting"). Or maybe you're working outside the home at a busy job that doesn't make allowances for the rollercoaster ride in family life that is March Break. This, of course, begs the question: how do you get through it? How do you cope with the stresses of March Break and make this a fun week for your kids? Here are my suggestions, based on what I've learned from my own March Break parenting experiences. Accept the fact that you’re the one who will set the tone for the week. Even if you're feeling mega-stressed by the fact that your responsibilities as a grownup don't get time off during March Break (and, in fact, they may even ramp up), you don't have to pass that stress along to your kids. 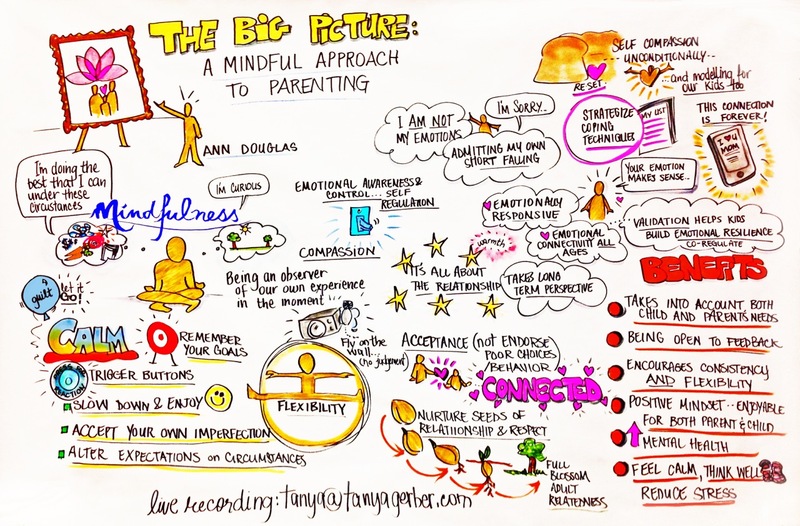 So pause and be mindful of your big-picture parenting goals. Clear the deck of non-essentials. It's okay to put some worries and tasks on the back burner, for now -- and to say "no" to non-essential commitments and obligations. Sure, it would be great if you could whip through all the tasks on your spring cleaning to do list this week -- but do you really want to ramp up your stress levels at what may already be a fairly stressful time? What you might want to do instead is to come up with creative ways to free up the time, mental space, and energy required to make the most of this time with your kids. Ann Douglas is a mom of four and the author of numerous books about pregnancy and parenting, including, most recently, Parenting Through the Storm.